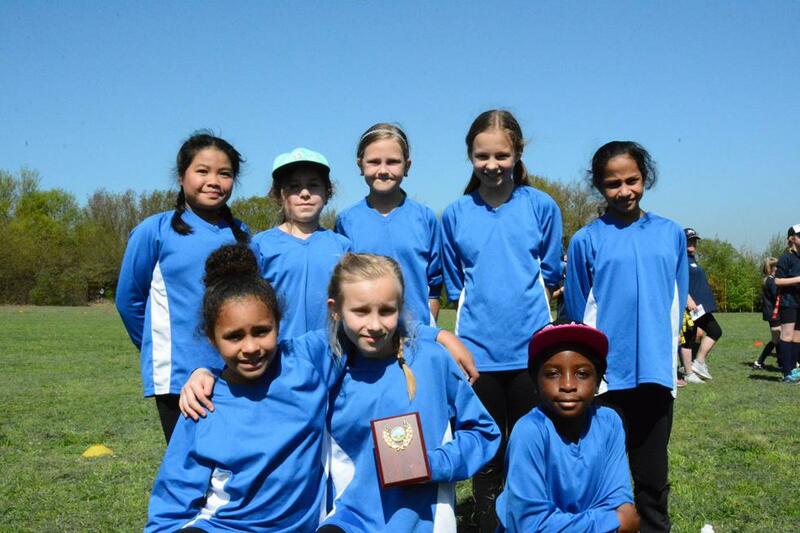 A team made up of year 4 & 5's took part in a fantastic girls tag rugby event last week. The competition which was held at Lovelace Primary was an invitation only event with 6 schools within the borough competing in the Cup & Plate competitions. St Joseph's played extremely well throughout the competition they played a total of 6 games winning 4 & losing 2. After finishing 3rd in the group St Joseph's went onto win their 2 remaining plate games beating both Lovelace & St Mary's to secure the plate shield. This is an amazing achievement against other schools made up of year 5 & 6's. The future looks bright for Girls tag rugby.